Prices are per room per night. Price includes bed and breakfast, free WiFi and free parking space in front of the hotel. City tax of 1.3 EUR per day is not included in this price. 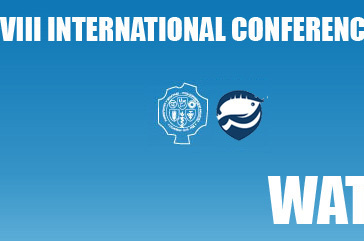 If you are interested in booking a room in Side one hotel, please contact the hotel directly and mention that you are participant of Water & Fish Conference to get lower prices (sales@sideonehotel.com). The airport Nikola Tesla is 18 km from Belgrade. To get to the hotel, citz centre or conference venue, one can use taxi, express mini bus or public transport bus. Transfer price from the airport to the Side one hotel should not exceed 15 EUR. You should confirm the price with the driver prior to start of the ride. Line A1, Airport - City Centre (Slavija Square). Runs every 20 minutes from 5:00 to 19:00, then every 60 minutes. A detailed schedule is provided at www.beg.aero. Single fare is 300 RSD (~3 EUR), available on the bus. The bus stops are located in front of international departures and international arrivals, levels 0 and -1. Journey time is about 30 minutes, depending on the traffic. The last station of express bus is at Slavija square, but if you want to travel to Zemun, you should get off at station: Fontana, then walk approximately 200m and find station: Arhiv and catch one of the following busses: 17, 73, 88, 610, 611 and get off after 4 stations (Conference venue, station name: 22. oktobar). Line number 72, Airport - City centre (Zeleni Venac Bus station), runs every 30 minutes from 5:30 until midnight. Single fare available on the bus is 170 RSD (~1.5 EUR). Terminals 1 and 2. Journey time is about 40-60 minutes, depending on the traffic. If you want to travel to Zemun, you should get off at station: GO Novi Beograd, then walk 30m back and find another station with the same name and catch one of the following busses: 17, 73, 88, 610, 611 and get off after 5 stations (Conference venue, station name: 22.oktobar).